So often items are purchased on a whim; and then, when you get home, you don't know where to put them, so you toss the stuff into a drawer or closet and can't find the things later. If company comes over with short notice, you simply shove your sundry items into whatever space is convenient to hide the unsightly mess. Below are seven great ways to organize your clutter. They include folding your t-shirts, organizing your closets, and organizing other places. With these space saving and time-saving tips, your clutter can stay under control, and your space will always be neat whether you have company coming, or not. 1. Shoe boxes are one of the best ways to organize a drawer. For lingerie drawers that end up a jumble of bras, socks and underwear, Real Simple recommends taking shoe boxes and cutting them in half and placing them in your drawer. Lining up your lingerie and socks inside the box halves keeps everything neat and orderly and easy to find. 2. But PVC pipes are great as well! DIY How To shares the idea of taking PVC pipes and cutting them to the height of your drawer. 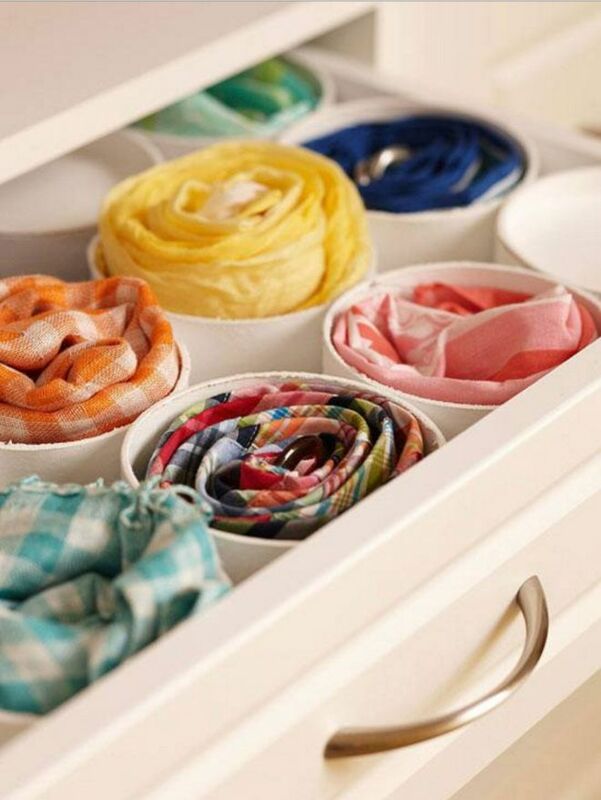 Underwear, scarves, socks and anything soft and flexible can be easily placed inside the pipes so your drawer stays neat and organized. 3. A pegboard is great to keep small items tidy and organized. Any girl will tell you that you can never have too many necklaces or belts, until you're trying to figure out how to put them all away. 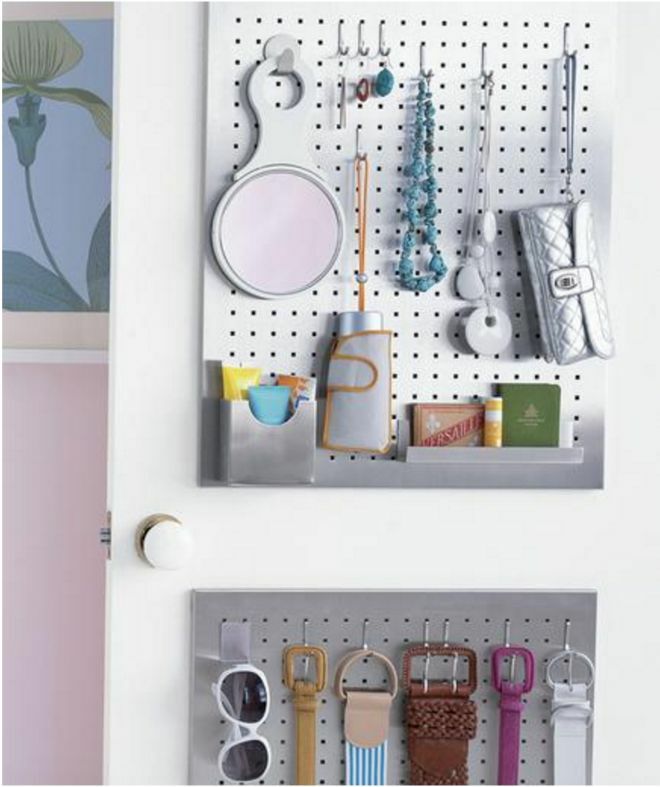 Real Simple offers up the idea of a pegboard with movable hooks. 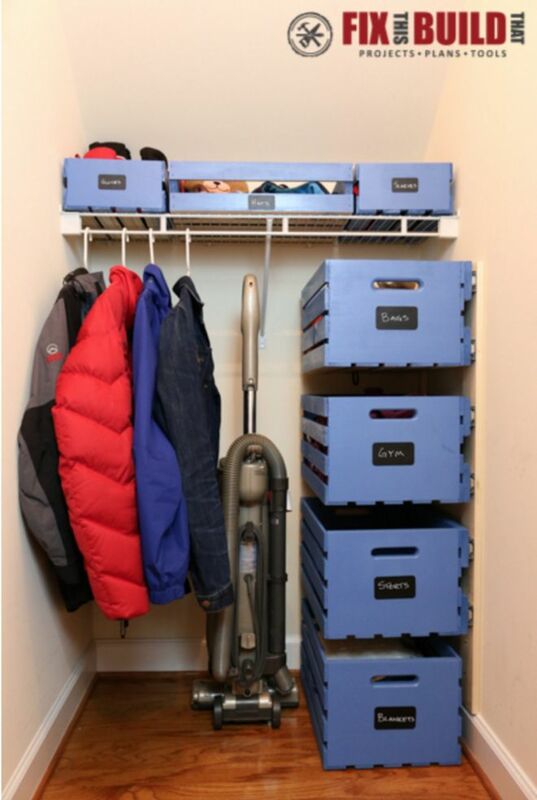 You can easily rearrange your storage space as you need and keep all your accessories neatly organized. 4. 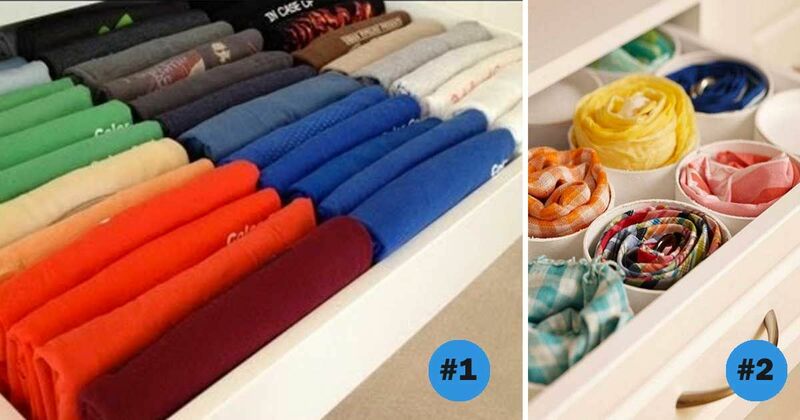 DIY: floating crate storage drawers for the closet. Closets are another area that easily gets cluttered. Fix This Build That share the idea of using floating pallet crates. According to Fix This, you can find the crates at Home Depot. Simply buy various sizes of crates, sort your items into the crates, stack and slide them into your closet. The closet is now clean. 5. Repurpose shelf brackets as clothing storage. Taking old shelf brackets and giving them a face-lift can increase your closet space. 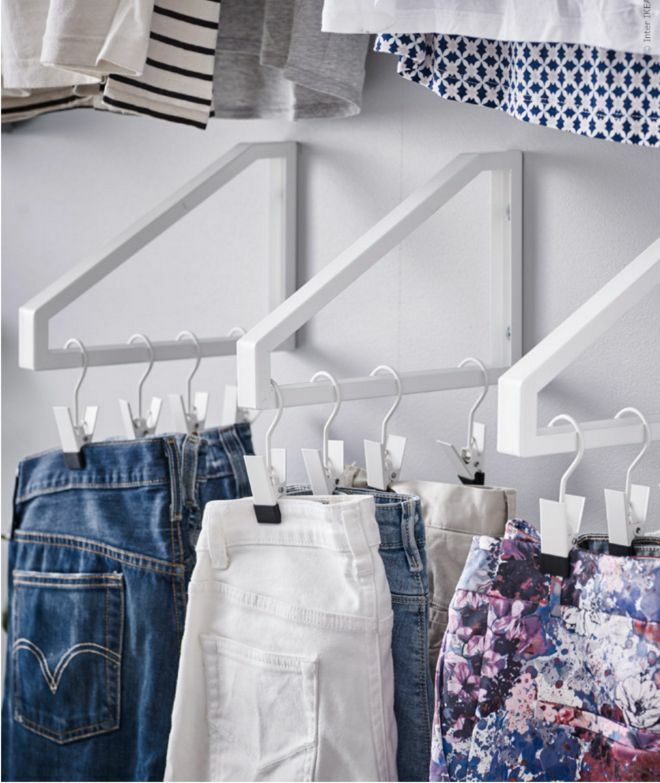 Once they are repainted, simply use them to hang hangers on and increase your closet's storage potential. 6. Comforter bags are perfect for storing and organizing out-of-season clothes. 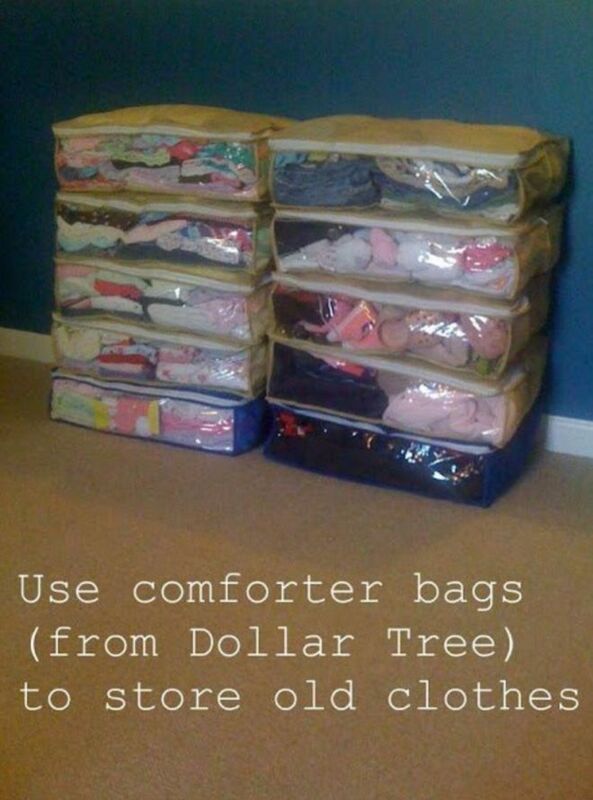 If you have to store seasonal clothes and space is an issue, Attempting Aloha recommends using comforter bags for storage. You can easily squeeze excess air out of the bags, and they easily stack. Also, since they are plastic, they keep dust and animals out of the clothes and bedding being stored. 7. Easy technique to fold your t-shirts and have the most perfect looking drawer. Alejandra shares on her YouTube video how to quickly fold t-shirts. She uses a product called a FlipFOLD which can be bought at The Container Store. When she gets done with the basic folds, she folds the t-shirt one last time so she can "file" them in her drawer. Whether you need to maximize your drawer space, your closet space or areas in your room, getting organized is the first step to saving space.